Did you know that August 6th is National Root Beer float day? Neither did I. 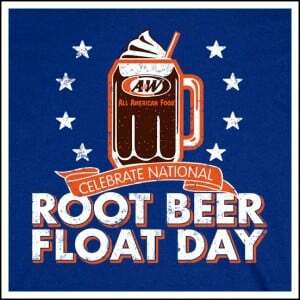 But, I certainly plan to Get a FREE root beer float on National Root Beer Float Day this August 6th, 2014! The offer is only good at certain A&W restaurants.